The Morgan family continued to live in Mebane, Alamance County, North Carolina, in a large two-story frame home on Center Street. The home had a beautiful porch across the entire front of the house overlooking a large front yard. Morgan home on Center Street in Mebane, North Carolina. Like many homes built in the late 1800s and early 1900s, the first and second floor hallways were breezeways for air circulation in warm weather. The kitchen was slightly detached at the rear of the first floor to reduce the chance of a whole house fire. A detached garage, stable, and coach house sat in the back yard as did a small cabin in which Caroline lived from Sunday night to Saturday night. She had Sunday off to visit her family and to attend her church. Sam was the head cashier of the Farmers and Commercial Bank and a well-respected businessman. Minnie's father, Joseph McKnitt Wilson, had been a very prosperous physician in northwest Mecklenburg County, North Carolina. He died at his home on 26 July 1910 and left a substantial estate to his wife, Lenora Lydia "Nora" Patterson Wilson and large bequests to each of his 8 living children. Sam persuaded Minnie to invest in real estate in Alamance and surrounding counties and to deposit a substantial amount with the bank. She controlled her own funds and kept them separate from Sam's. 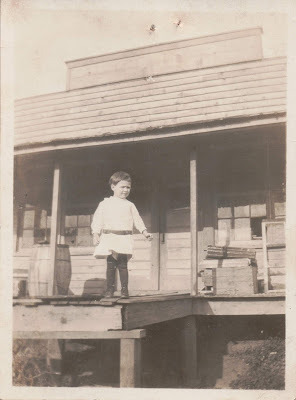 As mentioned in the last installment of this family story, Samuel Thomas "Tom" Morgan was born on 18 December 1909. Two of her sisters came to be with her when she delivered the child: Mary Martha "Mamie" Wilson Barron and Harriett Idella "Della" Wilson. Since Caroline was there and had once again engaged a wet nurse, Mamie and Della quickly returned to her husband and children. Della was not yet married and stayed with Minnie until early January 1910. Tom worshiped his father but was afraid of his mother. She was moody and temperamental, and was often angry if she did not get her own way. Like Mary Allen, Minnie delegated Tom's care and upbringing to Caroline. While Tom was a product of his Southern upbringing and was taught racial bigotry at any early age, he developed a strong love for Caroline. He shared his sweets with her until one day Minnie observed Tom's kind interaction with Caroline. Minnie interrupted by snatching the piece of candy from Caroline's hand and throwing it. She then slapped Caroline across the face and told her she was was not to have any such interaction with her son. She told Caroline that she was out of her place. She then whipped Tom with a hairbrush until it broke. He was terrified, but he still loved Caroline and was very careful never to be caught by his mother again. Minnie sometimes took Tom onto the settee beside her and said, "Thomas, promise me that you will never take a drink and that you will never smoke a cigarette or a cigar." Her admonition had precisely the opposite effect as he grew older. Mary Allen and Tom attended the Mebane Pubic School. Both were good students. Mary Allen excelled at English, literature, history, and art. She sometimes played "school" with her friends, acting the role of the teacher and imparting her knowledge to the younger children. She also won a Bible Scholarship award from the Mebane Presbyterian Church. It is an engraved 14K gold pendant and chain which I still have. Mary Allen also excelled in Sunday school and as a teenager taught the younger children. She passionately aspired to become a teacher. Tom was a brilliant mathematician, easily mastering the concepts of each branch of math. He became capable of computing figures in addition, subtraction, multiplication, division, and square roots in his head. He quickly took to the slide rule and, later, to the comptometer and other business machines. He excelled in geography and economics as well. He won a number of mathematical competitions. He wanted to become a financier. Morgan, and Minnie Wilson Morgan. Mary Allen graduate from Duke in May. Mary Allen applied to and was accepted by Peace Institute, a women's college in Raleigh, Wake County, North Carolina, and attended from 1923 until she graduated in 1925. She then transferred to Duke University where she graduated in 1927 with her teacher's certificate. Tom enrolled in Davidson College in 1927 where he pursued his academics and played football. He suffered a severe knee injury on the football field in January of 1929 and spent months recovering and working on physical therapy. In the Fall of 1929 he transferred to Duke University and began majoring in finance. 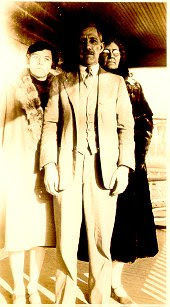 In early 1928 a young man from Durham with whom Mary Allen had fallen in love approached Sam and Minnie to ask for Mary Allen's hand in marriage. Sam was amenable but Minnie was adamant that the fellow was not from a good enough family, did not have enough money, and did not have god enough prospects to take care of Mary Allen. She raged at the young man and ran him out of her parlor. The next day, Minnie had her chauffeur drive her to the bank where she withdrew $3,000.00 in cash. She then was driven to Durham where she soon located the young man's family home. She met with him and gave him the cash wit the understanding that he leave town and never communicate with Mary Allen again. Tragically, the young man (who shall remain nameless) accepted the offer. He later ended up working for the U.S. government in Washington, D.C., married another woman, and had 5 children. Mary Allen was devastated when she received the "goodbye letter" which she kept until the end of her life. Minnie, on the other hand, assured her that a better man would come along. More on this later. In early September of 1929 the stock prices in the United States began to fall. On 29 October 1929 the U.S. stock market crashed initiating the Great Depression. It devastated individuals' and companies' financially. A domino effect ensued hitting heaving manufacturing hard, crushing their suppliers, terminating production, causing mass personnel layoffs, decimating personal income, government revenue and taxes, and closing tens of thousands of businesses. Farming faltered as people couldn't afford to purchase farm produce, and then the droughts obliterated farming in the Midwest. There were runs on banks to quickly obtain all the assets that people had on deposits, but the banks didn't have that capital. Many banks temporarily closed to forestall the economic panics. Many banks quickly sought to save themselves by calling in loans, further weakening the economy and making things more dire for individuals. Sam Morgan tried to help his friends in need by loaning and giving them some of his own money and assets. He demanded all of Minnie's cash to keep the family afloat. Unfortunately, Sam remanded that Tom drop out of Duke one semester short of graduation. After raging arguments, sam insisted that Minnie let Caroline go. Minnie had never done a day's housework in her life, had never cooked a meal, and had no idea of how to run a household. 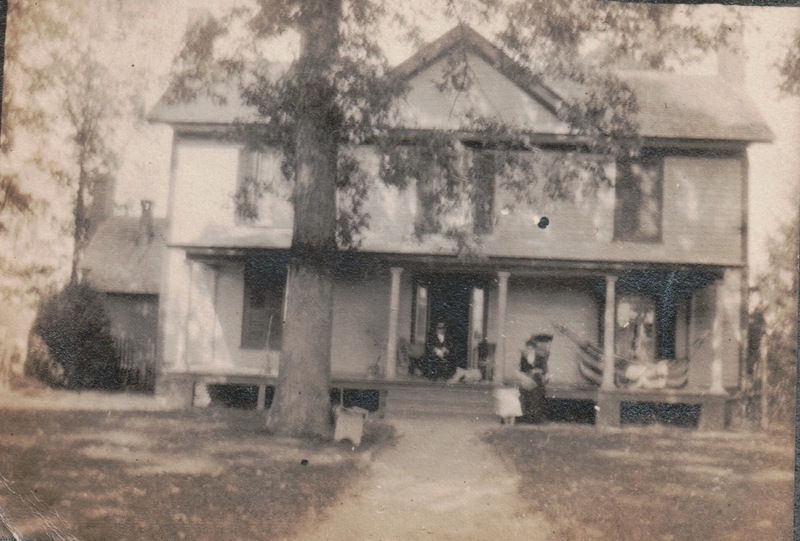 Sam was soon selling furniture and trinkets to keep food on the table, and it was Mary Allen who took over the household chores and cooking, such as it was. Unfortunately, this arrangement was quite satisfactory for Minnie. There was no question of there being a suitor for Mary Allen now; she was in effect her mother's domestic slave. Tom took a job in Mebane working on the tobacco market. He was the man who followed the auctioneer or "caller" and calculated/wrote the prices down for the tobacco sales. It was the only job he could find. The Morgan family, once financially secure and held in high social esteem, had fallen on very hard times. And things were about to get even worse. Excellent piece, George. Hope they continue. It’s a great example of putting the meat back on the bones and giving life and meaning to what for most are just placeholders on a family tree. 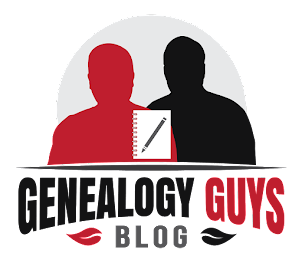 There’s a good lesson here for all genealogists to try to do the same. I am enjoying this story very much and hope you continue to add more. I have a Great Great Grandmother who, to put it mildly, was not an easy person to like. There are many stories handed down from several sources about incidences that occurred that are kind of hard to hear. Yet, through my research, I have learned things about her that have made me wonder and perhaps, see her in a different light and change my opinion in some ways. I understand that on her deathbed, she asked for, and received, forgiveness from one family member to whom she had been particularly nasty, and he gave it. I have hesitated to "publish" her story as I know it. Not that it's private really, the family is aware, but I guess I'm thinking more about the future and those that come after us that may be interested in family history. I like to think that if I did something that I had to ask forgiveness for on my deathbed, and I received it from the person I asked, I wouldn't want that to be held against me for a hundred years or more into the future....I don't know. I have the ability to possibly bury some of the negativity around her. All the parties involved are long gone. Does it really need to be out there? I don't and wouldn't make her into something she wasn't, and I would be honest, but maybe some of the stories don't need to be repeated. I've thought about it a lot. But I don't have a decision yet, that family story is still waiting to be officially written. I'm interested to see how you handle the rest of Minnie's story....thank you for sharing your family story! Minnie was emphatically a destructive person. The story will continue, I guarantee, and I have no qualms telling the tale. The entire family knows part of it, but they are learning more in this blog. So far we are at 1934. There are another 32 years in Minnie's life, and 35 in Mary Allen's, and 46 left for Tom. I will await Stephen King's judgement on whether it will make a great full-length novel or movie.